This article has been superseded by our August 2018 pump update! 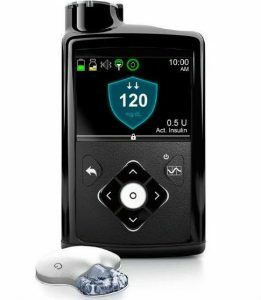 I have several times posted summaries of the current state of the Australian insulin pump market. In late April 2018, it seems time for a refresh. Purchasing a new pump requires a 4-year commitment to that pump model. Many people are now wondering what they should do, especially after some recent commercial announcements. I’ll list the current options, then talk about the apparent future possibilities. Medtronic have their 640G pump with integrated CGM (“Guardian 2”). 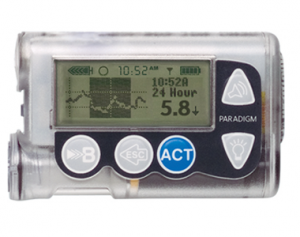 This pump has “SmartGuard” which is their predictive-low-glucose-suspend (sometimes referred to as a “hypo minimiser”) although this function is dependent on keeping the CGM calibrated and accurate. The 640G is NOT currently compatible with any open protocol closed-loop technology. These are Medtronic’s previous generation of pumps. They’re usually only supplied as part of a loan process in the lead-up to buying a 640G pump (e.g. most pump companies will help customers work around the 1-year waiting period on private health insurance). The reservoir in the 554 can hold up to 180U of insulin, and the 754 can hold up to 300U. The basal rates can be set to 0.025 U/hr increments in 30-minute blocks. The pumps support Medtronic’s old “Enlite” CGM system (uses the same sensors as the “Guardian/Enlite 2”, but a different transmitter) and they have a primitive low-glucose-suspend function (which suspends when you get to the boundary point, not when the pump predicts you’re soon going to get there). The 640G’s CGM was a significant improvement on this. The current firmware versions of these pumps are NOT compatible with any open protocol closed-loop systems. I have looped with OpenAPS and a 554 with firmware 2.6A (up to 2.7A is compatible) but Medtronic will not supply any of those to customers. Many other older Paradigm models are loop-compatible. This pump is supplied with a Performa Combo BG meter, which is used as a remote control so the pump doesn’t have to be brought out of your pocket in normal use. The Spirit can hold up to 315U of insulin, and the basal rates can be set to 0.01 U/hr increments in 1-hour blocks. The Spirit Combo IS compatible with AndroidAPS (on select Android phones) for closed-loop operations. In this mode the linked meter is replaced by the Android phone. Support by another open closed-loop system is also expected soon. This is the pump I personally have been trialling and am about to move to. This pump was introduced in November 2017, and after an initial roll-out the deployments stalled for a while. The updated Cellnovo pumps with new handsets have now arrived in Australia, and I gather more customers are now being supplied with them. The pump is attached to the body near the infusion site, and can hold up to 150U of insulin (note that when the infusion set is replaced, the reservoir is also discarded). The basal rates can be set to 0.05 U/hr increments, in 1-hour blocks. The Cellnovo pump is NOT currently compatible with any open protocol closed-loop systems. This pump has officially been discontinued, but is still being used as a stop-gap by AMSL to support existing and new customers in preparation for their introduction of a Tandem pump later in 2018 (more on the Tandem pump below). The Vibe is a nice reliable and basic pump: I used one for many years. The reservoir can hold up to 200U, and the basal rates can be set to 0.025 U/hr increments in 30-minute blocks. The pump can act as a CGM receiver for the Dexcom G4 system. This pump is NOT actually yet available, although the public launch is expected soon and thus I’m putting it at the bottom of this list. The consumables are already available on NDSS. The reservoir holds up to 160U of insulin, and the basal rates can be set to 0.02 U/hr increments in 1-hour blocks. The pump links to your phone via Bluetooth. It is expected that within a few months the phone app may link to CGMs such as Dexcom on your phone, and later in the year a software update to the software and to the pump (apparently upgrading all the pumps in operation) will facilitate further integration between the pump and phone/CGM. The Ypsopump is not yet compatible with any open protocol closed-loop systems, although work on this is ongoing. New pumps – how clear is your crystal ball? So, what about the other possibilities we hear about? Supply of any new pump in Australia is dependent on various levels of registration and approval. Approval from the TGA (Therapeutic Goods Administration) is required to be able to legally advertise and sell a device in Australia. The consumables for the pump need to get listed and subsidised through NDSS (otherwise the ongoing cost can be prohibitive for most people). Pumps are expensive and almost exclusively supplied in Australia through private health insurance as a prosthesis, and for this to happen they need to get listed on the official “Prostheses List”. This is updated in February and August, with the updates coming into effect in mid-March and mid-September. So at this point the earliest we will see any new pumps being available here might be mid-September 2018. What pumps might that include? The older DANA R is on the Prostheses List, but is not currently being sold in Australia. Its consumables are on NDSS, as a number of DANA pumps are still being used around the country. 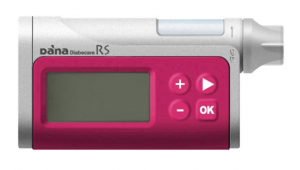 The DANA R and RS have a 300U insulin reservoir, and basal rates can be set to 0.01 U/hr increments in 1-hour blocks. The DANA R and RS are compatible with AndroidAPS for closed-loop operations. We will find out by September if the DANA RS will make it onto the next Prostheses List update. 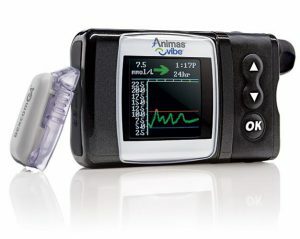 AMSL (who distribute Dexcom in Australia and were the Animas agents) have announced a partnership with Tandem Diabetes, a US pump manufacturer who is in the process of expanding outside the US market and earlier this year announced some European partnerships. According to Tandem the pump they are looking to distribute is the t:slim X2. AMSL cannot legally yet name the pump, as it does not yet have TGA approval for sale or advertising in Australia. The t:slim X2 currently only supports the mg/dl BG units used in the US, and obviously some software overhauls will be happening to support the mmol/l units used in countries such as Australia. Once an updated device has been registered with the TGA, AMSL will be in a position to talk about it specifically. The expectation is that AMSL will replace recent Animas Vibe purchases with Tandem pumps, but the specifics of how that will work is up to AMSL. They will obviously be working to get the pump onto the August Prostheses List update, so they can start selling the pump through private health insurance from mid-September. But once the TGA approval and NDSS updates are in place, it’s possible they might start upgrading Vibe pumps before that date. 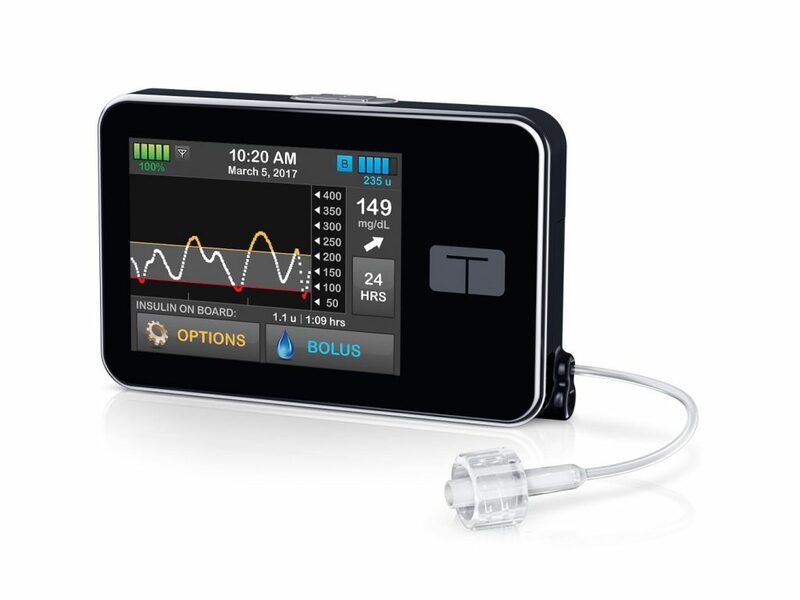 The t:slim X2 has a colour touchscreen, is recharged via USB, and the insulin reservoir can hold up to 300U. The basal rate can be set in 1-hour blocks with an increment of 0.001 U/hr (no, that’s not a typo). 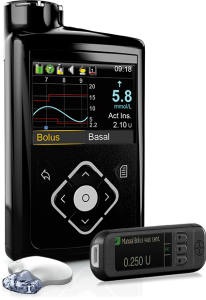 The US version of the pump currently can act as a Dexcom G5 CGM receiver, and a software update to support the G6 is expected in due course. We’re also expecting a software update in 2018 with Tandem’s “Basal-IQ” which is their predictive-low-glucose-suspend function. A feature of the pump is that users can apply these firmware updates from their home computers without having to send the pump in for service, and Tandem has committed to supplying firmware updates for free until at least the end of 2018. We don’t know what will happen after that. Early versions of Tandem pumps used luer-lock connectors on the reservoirs and infusion sets, but Tandem have now moved to their own T-lock connectors and thus we expect introduction of this pump will include a slew of new pump consumables on NDSS. The Tandem pumps are NOT compatible with any open protocol closed-loop technology. Tandem has been trialling their own closed-loop system (internal to the pump) and might decide to not support open systems. This pump has been available in the US for a while, and was the first closed-loop system to receive FDA approval. It does not yet have TGA approval for Australia, although it has been used in various university/hospital research trials in Australia for a while now. 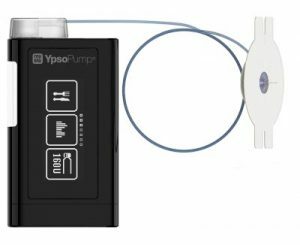 The pump supports their “Guardian 3” CGM (new sensors and transmitters) and has a basic closed loop: a “hypo and hyper minimiser”. Those seem to be the primary upgrades over the 640G. The reservoirs and infusion sets are the same as for the other Medtronic pumps. Like the 640G, the 670G is NOT compatible with any open protocol closed-loop systems. Given Medtronic’s past behaviour, that’s not surprising if they’re trying to protect their own internal closed-loop system from competition. Medtronic Australia seem to be selling some people on their “Tech Upgrade” program, where by getting a 640G now and paying an additional per-month subscription starting now, when the 670G eventually receives TGA approval they’ll hopefully be “first in line” with a replacement upgrade (for the remainder of their 4-year warranty). We’ll see how that works out in the end. I remember Medtronic got into trouble in the US after offering a similar program and then having delays and shortages of 670G pumps and CGM components. Some people were very unhappy, so I’m hoping that Medtronic Australia have learnt from that and are confident about their offering so this doesn’t happen to their Australian customers. I don’t expect the 670G to be available outright to Australian pumpers until at least mid-2019. In the meantime we’ll be keeping an eye out for TGA approvals for the pump and the CGM, and the August and February Prostheses List updates. We know about the Medtrum patch pump which has TGA approval already, but it hasn’t had good feedback overseas and we don’t know if anything will come of that. There are other pump manufacturers and models out there in the world, and hopefully more options for Australians will appear over time. But that seems a reasonably complete picture of the Australian pump market in the near future. The Insulet COO has said in interviews they are bringing the Omnipod to Australia and NZ at either end of 2018 or early 2019. I suspect this will be AMSL’s second new pump. I’ve heard one of those. She was commenting about Insulet’s global situation (they’ve taken back international distribution from Ypsomed and are running it themselves: a big change in Europe at the moment) and said that they are “looking hard” at markets like Australia. However I’ll be surprised if the Omnipod comes to Australia any time soon. As I’ve written before (look for articles with the “Omnipod” tag) the funding model in Australia does not seem to work for the Omnipod. There was another interview with her in March this year on the juicebox podcast where she specifically said they are coming to Australia. 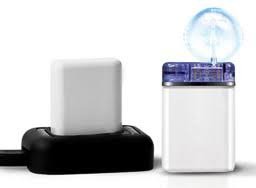 Also my local AMSL rep has told me there is a second pump coming for them, and hinted strongly it would be the omnipod. I certainly hope so – I know it’s not for everyone but my son won’t even consider a pump with tubes so this is my only hope!! That was the interview I was quoting from. Yes there have been rumours of a 2nd AMSL pump, possibly being a patch pump. Read back for my discussions of the Medtrum pump, and then we’ll have to wait for more evidence. The G4 transmitters don’t use Bluetooth, so I think that’s unlikely. Hi I have a 4.5 year old boy that will start his school next year ….. we are planning for him to get a pump but not sure on the choices what I think best for him will be no or minimum interactionas, closed loop or atleast hyper and hypos management …. would like to hear from experinces from others parents to make a better choice …as 4 year commitment amd looks too long for this changing technology…. My daughter was diagnosed T1 at 2years old so DMI for 1 and a half years until I realised I was never going to get the good HBA1C results that I wanted and even though I hated the thought of her being attached to a pump it was the only way to get good numbers and for her to lead a healthy active life doing what all kids do. 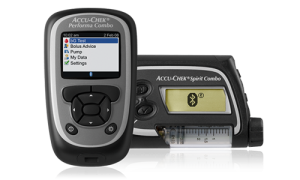 Even though my RN suggested other pumps I went for the Accucheck Spirit Combo and it was a game changer – the remote was excellent for convient use myself (without having to get pump out all the time) discreet and apart from 2 new handsets over 4 years very reliable (typically swiss!) She is now 10 yrs and we have been on last 9months cellnovo – I am yet undecided on it – my daughter loves the smallness and stickability of it but this can be challenging with all the sport she does (swimclub 4 days per week horse riding running ect) I do realize though she does more sport than most BUT my frustration with the actual system is when it works its great however there is a lot of troubleshooting involved and I am on my 5th soon to be 6th handset – and I can’t workout if it is more trouble than its worth. Am about to try new gen handset but am annoyed as I feel I have been cornered into using new handset (due to ongoing issues of reliability of older model) and they have taken the finger stick mode out of the new one so we now have to carry around another testing kit which I does’nt really fit into the principle idea of having a smaller more convient pump!??! Hi, could you please give me some information on how I would use closed loop on my phone for the accucheck spirit combo? Most of the support is in Facebook groups. There are AndroidAPS groups with lots of infomation. And if you’re in Australia the “AussieLooping” Facebook group will connect you with other locals doing the same. You’ll need an Android phone running either Android 8.1 or LineageOS 14.1, and for CGM you can easily use either Libre (with a “miaomiao” device) or Dexcom G5. I think that my options are really the ypsopump and t:slim x2. I can’t use the new medtronic pumps as the buttons are too small for my hands/fingers. I have found the cellnovo customer service slow and this has put me off using their products, in case I need something from them. I currently have a 1.8ml veo and don’t know how bulky the 3ml t:slim x2 is. What are your thoughts – you have reviewed them both. (I dislike all the extra buttons one needs to press in order to get anywhere as fail-safes).